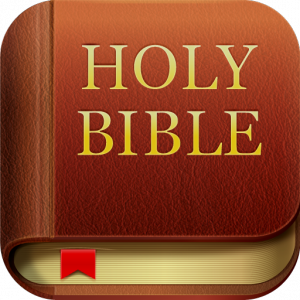 The Holy Bible should be seen as more than just a religious text, it should be viewed as a guide that gives you direction and strength in life. Christianity preaches kindness, respect, understanding and peace. Being a man of strong religious beliefs is an admirable quality. If you are about to get married and have so far lived your life following the model of Jesus Christ, make sure you learn to treat your wife-to-be in a way acceptable to the church as well, something which will keep your wife happy and content. This guide will highlight some of the passages in the Bible that describe the ways an honest Christian man can stay true to the words of the Lord during his married years. (Peter 3:7) "Be considerate as you live with your wife with respect..." This passage speaks of how important it is to be mindful of your wife and help her with all what she needs. Women are strong individuals but there are some tasks in which they require help, for example help her carry heavy groceries, and help her make decissions. Always remember to pray for guidance so you can realise when you are being inconsiderate and can mend your ways. (Colossians 3:19) "Do not be harsh with your wife". Your wife is a gift bestowed upon you by God; do not disrespect her or intimidate her with harsh words and physical abuse. Women can be frustrating, but rejoice in her womanhood and be kind, because she is the one God has chosen for you. (Corinthians 7:3-5) "The husband's body does not belong to him alone but also to his wife." It is your God given duty to sexually please your wife. God has ordained that pleasure is never forced or taken, but always given and remember that only once you please your wife, she will be motivated to please you. Be mindful of your wife's desires in and out of the bedroom. (Proverbs 5:20) "Do not be captivated by other women" . Infidelity is a sin of the highest order. God has brought you and your wife together and ultimately you are disrespecting Hi's matchmaking if you cheat on your wife. Your wife, being a creature of God, deserves a faithful, strong and giving husband all her life. (Proverbs 31:28-29) " Call your wife "blessed" and praise her." It is important to show your wife how much love and affection you have for her. She is more than just her physical beauty, she is a woman with her own strengths who should be admired.